London-based four piece, Fraser & the Alibis, play the hippest in Bop, Blues and Boogaloo. Inspired by the tenor sax sounds of Dexter Gordon and the organ pioneer Jimmy Smith, the bands' original tunes are deeply entrenched in the roots of music. 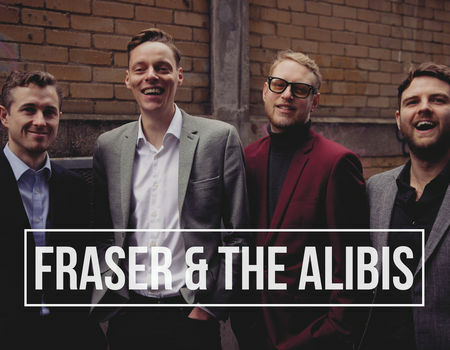 Fraser & the Alibis channel the intensity and feel-good effect of the swing and jive music of the dance hall era, combined with the intricacies of later jazz movements. Featuring some of the most in-demand, young improvisers on the London scene, the band have played over 400 gigs together and released their much-anticipated debut album in October 2017.